I read a few blog posts around detailing how to create these custom .NET charts in PowerShell, but this tends to be quite a tedious process – akin to creating a Windows Forms GUI in PowerShell manually – basically a complete pain. 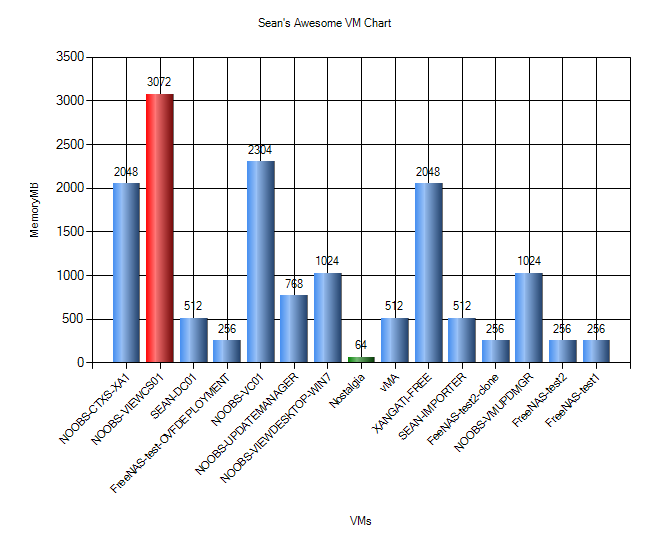 The blog posts I read definitely helped me understand how to create charts and soon I was able to generate some pretty cool charts based off data from PowerCLI (or PowerShell) data. 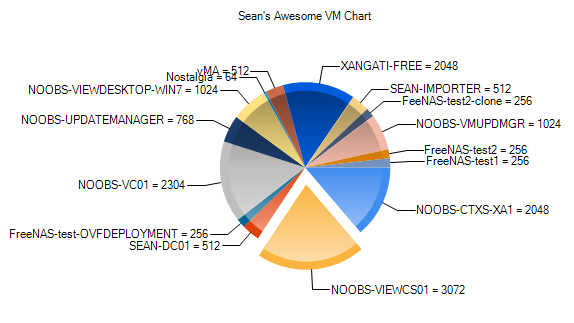 I wanted to ultimately automate the creation of Charts for my PowerCLI and PowerShell scripts, so I decided to create myself a Function that could be used anywhere to generate a Bar or Pie Chart on the fly. 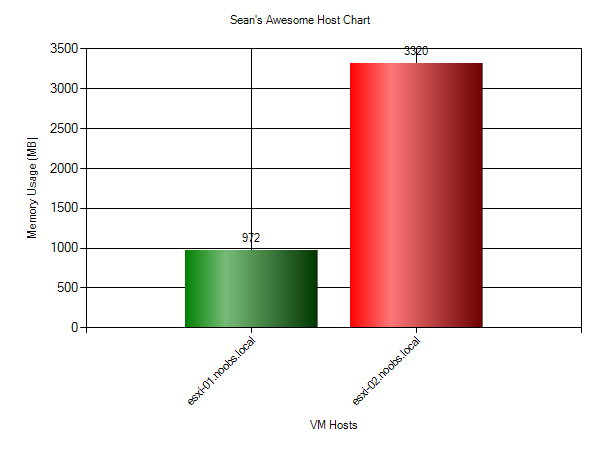 So there you have it – a fairly easy way to Chart the data you can get from your PowerCLI or PowerShell cmdlets! I wrote these Functions as part of a larger report that I am working on for another soon to come blog post! As I mentioned above, there is plenty of room for improvement – so if you do make any improvements or changes, please be sure to post them in the comments section.